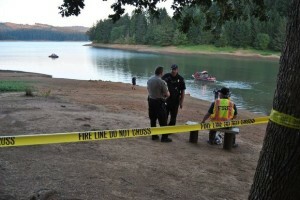 Four People Randomly Drowned In Oregon Lake, No Explanation Why. On Tuesday in Gaston, Oregon divers found the bodies of a 40-year-old mother and her two children at a lake west of Portland. The three people allegedly drowned at the popular lake and officials say they have found no signs of foul play. A day earlier they had found a 3-year-old, who was the grandson of of 40-year-old Jova Ixtacua-Castano, and had assumed that their may be more victims when they found an abandoned car by the scene. The family had apparently went to Henry Hagg Lake for a picnic on Monday. It’s not exactly clear how this all happened, but something led to the death of Jova Ixtacua-Castano, 25-year-old Gabriela Garcia-Ixtacua, 13-year-old Michael Garcia-Ixtacua and 3-year-old Jeremy Scholl. “There is no suspicion of any criminal activity. We’re just considering this a tragic accident,” said Sgt. Bob Ray of the Washington County Sheriff’s Office. The bodies were found about 40 feet offshore in about 8 feet of water. The 3-year-old was found about 50 yards away from the other bodies. They also found a beach towel, a cooler, shoes and other personal items. There was also a small dog left on a leash. Even though officials say that they don’t see any signs of foul play, it’s hard to picture a scenario in which 4 people just randomly drowned in 8 feet of water only 40 feet away from shore. Suspicious and yet tragic. When You See This Cute Little Pug On A Plate, You Will Just Want to Eat Him Up!